Fresh from the leveraged purchase of a stake in insurer Ping An, Dhanin Chearavanont is borrowing $6 billion to buy cash-and-carry group Siam Makro. For Thailand’s richest man, a combination with his convenience stores makes sense – as long as Asia’s boom keeps the cash flowing. Dhanin Chearavanont arrives at a Thailand-China Business Council Seminar in Bangkok March 15, 2013. 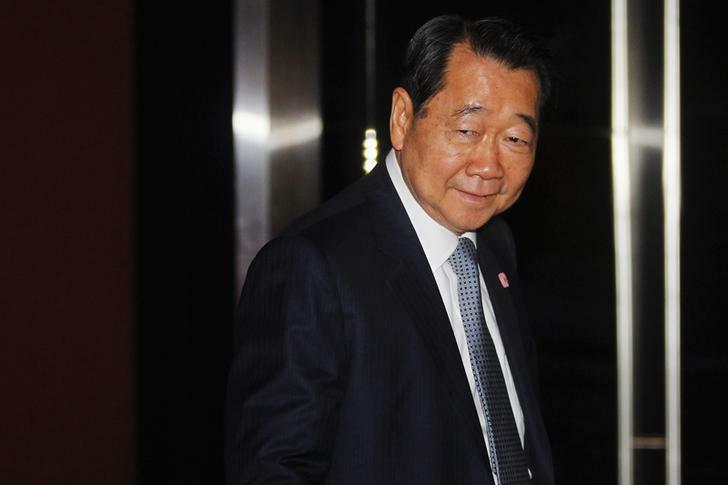 Thailand’s richest man on April 23 offered $6.6 billion to buy cash-and-carry wholesaler Siam Makro from Dutch SHV Holdings. CP All, an operator of 7-Eleven convenience stores controlled by Dhanin Chearavanont, has agreed to buy 64.35 percent of Siam Makro for 787 baht per share, and will make a tender offer for the remaining shares. Siam Makro shares were suspended on April 19 at 682 baht. Shares in CP All were suspended at 43.5 baht, valuing the group at around 391 billion baht ($13.7 billion). Dhanin and SHV founded Siam Makro in 1988, but Dhanin was forced to sell in 1998 after the Asian financial crisis. CP All will largely fund the deal with a $6 billion loan financed by HSBC, Siam Commercial Bank, Standard Chartered, Sumitomo Mitsui Group and UBS, people familiar with the matter told Reuters. HSBC was the sole financial adviser to Siam Makro, while Siam Commercial Bank advised CP All.